Frankie Sheahan retired as an international professional rugby player with Ireland in 2009. He then set up Front Row Speakers which is now the fastest growing speakers bureau in Ireland and the UK. He sources speakers in the area of leadership, motivation and entertainment for some of the largest companies and brands in the world. Speakers and celebrities are also booked for corporate events such as conferences and hospitality, product launches and management training programmes. 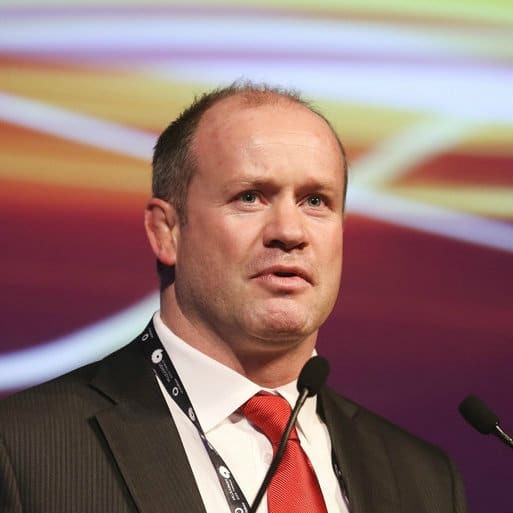 While many of the speakers come from the world of sport, such as rugby coach Joe Schmidt, boxing coach Billy Walsh and former rugby players like Brian O’Driscoll, Frankie also works with a lot of recognised faces from the world of business like Ivan Yates and Bobby Kerr. The entertainers he books are household names like Oliver Callan, Mario Rosenstock, Risteárd Cooper, Pat Shortt, Alan Shortt and Barry Murphy to name a few. Frankie’s passion for business, personal development, maximising potential and leadership sparked the idea of The Pendulum Summit – a one day international business and self-empowerment summit. Frankie and his team bring together the world’s leading speakers from the business, leadership, personal development and mindfulness sphere. It is unique in that it is for all industries and for anybody who has the burning desire to constantly improve and maximise their potential. In only its second year, The Pendulum Summit sold out with 1,800 delegates in January 2015. Watch this space as Pendulum gets bigger and better in Ireland and abroad! Frankie was educated in PBC Cork and completed his Economics Degree in UCC. He recently received a Higher Diploma in Leadership from the IMI and a Diploma in Sponsorship from ITEC. “I recently had the pleasure of collaborating with Frankie Sheehan in piecing together a unique CIPD experience. The event went very well, it was very well attended and the feedback was excellent. Frankie’s insistence on attention to detail made the event run very smoothly. I would endorse Front Row in running similar events in the future as I know that Frankie ensure the Front Row team prepares for these as he did for rugby games with Ireland and Munster.” Enda McNulty, Motiv8.